The pieces for a Joseph R. Biden Jr. presidential campaign are falling into place: His nucleus of advisers has begun offering campaign positions to seasoned Democratic strategists. They are eyeing a headquarters in Delaware or nearby Philadelphia and a launch date in the beginning of April. Mr. Biden’s family is on board — his wife, Jill, enthusiastically so. And in recent weeks, Mr. Biden’s strategist, Steve Ricchetti, has called a handful of would-be candidates and their aides to signal that the former vice president is likely to enter the race and of late has been telling Democrats that he’s 95 percent committed to running, according to officials directly familiar with the discussions. 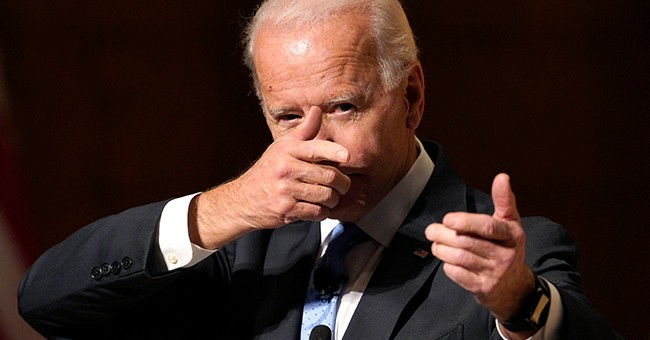 Joe Biden in a 1993 speech warned of "predators on our streets" who were "beyond the pale" and said they must be cordoned off from the rest of society because the justice system did not know how to rehabilitate them. Biden, then chair of the Senate Judiciary Committee, made the comments on the Senate floor a day before a vote was scheduled on the Senate's version of the Violent Crime Control and Law Enforcement Act. His central role in shaping and shepherding the tough-on-crime bill will likely face scrutiny in a Democratic primary should he run for president in 2020. His 1993 comments, which were in line with the broad political consensus to tackling crime at the time, are at odds with a new bipartisan coalition of activists and lawmakers who are trying to undo what they say is a legacy of mass incarceration fostered by that era. Biden's word choice could also pose a problem with a new generation of Democrats who view the rhetoric at the time as perpetuating harmful myths about the black community. They are beyond the pale many of those people, beyond the pale," Biden continued. "And it's a sad commentary on society. We have no choice but to take them out of society." In the speech, Biden described a "cadre of young people, tens of thousands of them, born out of wedlock, without parents, without supervision, without any structure, without any conscience developing because they literally ... because they literally have not been socialized, they literally have not had an opportunity." He said, "we should focus on them now" because "if we don't, they will, or a portion of them, will become the predators 15 years from now." Biden added that he didn't care "why someone is a malefactor in society" and that criminals needed to be "away from my mother, your husband, our families." Want to know what Biden will face in 2020? Hillary Clinton called them “superpredators,” though she did nab a solid 88 percent of black voters during the 2016 election. Still, we’re in a different era regrettably. Identity politics reigns supreme on the Left. Everything and anything is racist. And they’re retroactively applying this nutty standard to everything. Joe may jump in, but it doesn’t mitigate the chance that the 2020 Democratic primaries could be a full-blown and bloody war that batters the party. Meanwhile, Trump can smile, laugh, and count the massive war chest he will have at his disposal to unleash an assault upon the Left.